Have you seen such a zebra crossing?? This is very rare. This must have been a zebra escaped from a zoo. That is because zebras are difficult to be found in city and crowded areas and that too in New York. A zebra crossing a zebra crossing. Sounds crazy and looks crazy. Store this rare moment as probably you’ll never see such thing again. 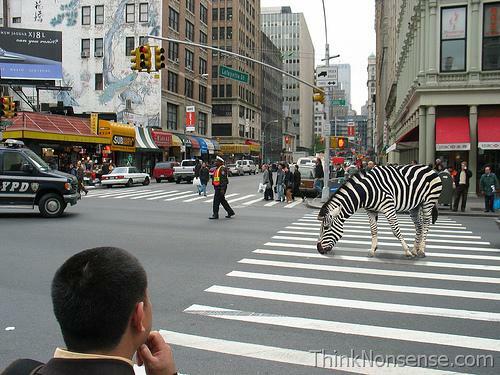 Zebra crossing the Zebra Crossing… Hahaha… Cool… Nice friend..